ROBBIE Williams paid £1.5 million to leave Take That in 1995. The 39-year-old star - who reunited with Gary Barlow, Howard Donald, Jason Orange and Mark Owen in 2010 for their sixth studio album 'Progress' - ended up having to pay more than he had earned to get out of the terms of his contract when he first broke away from the band. Talking to BBC Radio 4's Mastertapes, he said: "For reasons I can't go into because certain people like suing me - and they like winning - there was a big need for me to get out of my contract and out of that record company. "I think I made a million or something in Take That and then it cost me a million and a half to get out of the deal. "So as a 20-year-old I ended up coming out of Take That owing £500,000." 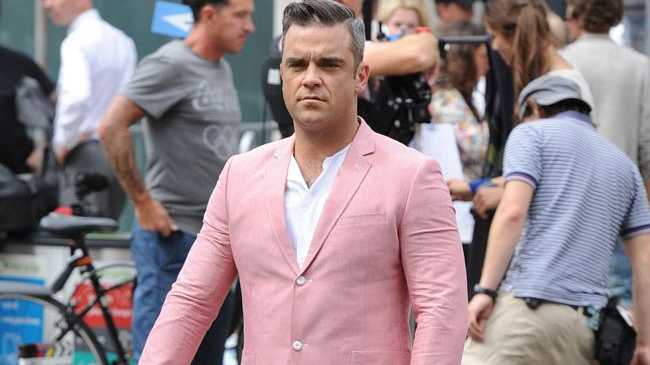 Robbie recalled the evening he told his band mates he was going to leave and thinks it may have ruined their night. He explained: "I said to the boys, 'This will be my last tour.' We went for a curry the night before everything happened and we were taking a competition winner for a curry. It mustn't have been a very nice evening for them! "I went back to the hotel and got drunk again, got up the next day, went into rehearsals and I wasn't in a very good way." Jason insisted Robbie leave earlier than he intended, giving the four remaining members the chance to show they can still work well as a group. Subsequently, Take That completed their world tour without Robbie before they split in 1996. "'So you're going to leave after this tour and what we've decided is, we think it's best you go now, so we can prove we can do this as a four-piece."